Located in the prestigious K section of Carroll Valley - Minutes from Skiing/Snowboarding, and Championship golf! 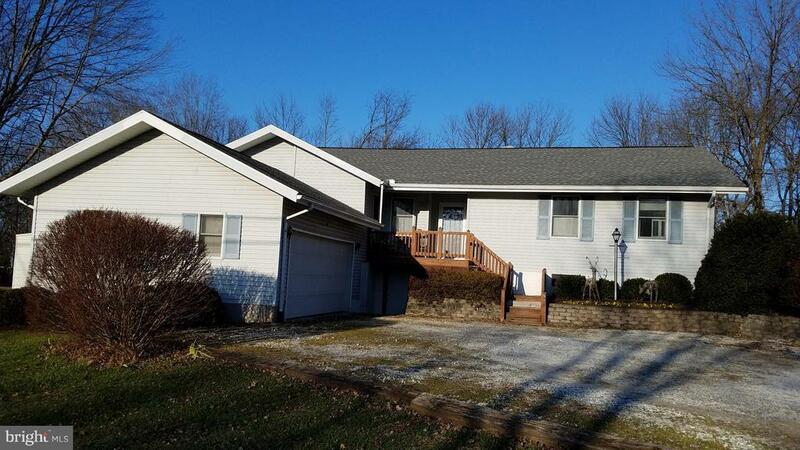 Raised Ranch open floor plan, living room with fireplace, 3 Bedroom, new carpet , 3 full baths - attached 2 car garage, Large deck in back and along side. Potential in law suite on bottom floor.